The day before Trump announced the U.S. retreat from the Paris climate accord, the Board of Directors of the Bay Area Air Quality Management District made far better history of its own by advancing a greenhouse gas cap on Bay Area refineries, effectively preventing a large-scale influx of dirtier crudes like tar sands oil. The final approval of Rule 12-16 takes place on June 21st. When this rule is adopted, the Air District will be the very first agency in the state and the nation to set a local cap on GHG emissions. Even as the 45th leads us resolutely back into the nineteenth-century, the Bay Area is demonstrating what enlightened, twenty-first-century climate policy looks like. It took a lively village to make this happen. Rule 12-16 is the result of years of painstaking—and even visionary—work by Communities for a Better Environment, along with massive community mobilization by allied organizations such as APEN, Sierra Club, 350 Bay Area, and the Sunflower Alliance. Hundreds, if not thousands of us have taken the time to educate ourselves, talk to our neighbors, testify tirelessly at hearing after hearing, sign petitions, send emails, lobby board members, and engage city councils all over the Bay Area to push for a cap on refinery pollution. We have persisted for well over three years, even as Air District staff issued a relentless series of ever-changing technical and legal objections. Then came a sudden, radical reversal of staff’s position, prompted by an April 5th letter issued by the Air Resources Board that signaled an even larger change in state climate policy. The stage for this remarkable turn of events was set in 2016 when the legislature passed AB197, which places equity at the center of California’s approach to carbon pollution reduction goals. 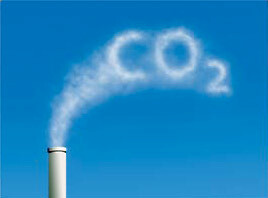 AB197, along with SB32, the extension of the landmark Global Warming Solutions Act of 2006, require that the state “achieve the more stringent GHG emission reductions in a manner that benefits the state’s most disadvantaged communities.” AB197 causes regulators to address the social costs of greenhouse gas emissions. With AB197, years of environmental justice arguments had finally been validated: cap-and-trade had left in place the extraordinary pollution burden carried by frontline communities. From now on, we would need direct regulation of polluting sources in order to mitigate local health impacts. Rule 13-1, refinery “emission-intensity” caps, a per-barrel approach, will also be developed as soon as possible, ideally by the end of September. Even as we celebrate this happy turn of events, however, we are saddened by the continuing split between refinery workers and climate activists. The refinery work force has been told over and over by the oil industry that any regulation threatens their jobs, and this greenhouse gas cap is no exception. The beauty of Rule 12-16 is that no jobs will actually be lost, even as emissions increases are prevented. This means considerable health and safety benefits for refinery workers and community members alike. Going forward in solidarity, our efforts must be directed towards assuring refinery workers that we are operating in good faith by doing everything in our power to ensure a just economic transition from fossil fuel reliance. And as we have just demonstrated, that power is considerable. The USW supports job creation. But the union believes clean air pays; clear water provides work. Engineers design smokestack scrubbers, skilled mechanics construct them and still other workers install them. Additional workers install insulation and solar panels. Untold thousands labor to make the steel and other parts for wind turbine blades, towers and nacelles, fabricate the structures and erect them. Withdrawing from the Paris Accord diminishes these jobs and dispatches the innovators and manufacturers of clean technologies overseas where countries that continue to participate in the climate change agreement will nurture and grow them. Let’s move forward together to a clean and equitable energy future! More background on the BAAQMD campaign. BAAQMD press release on emissions caps. Bay Area Public Health Experts Report on Health Impacts and Relationship of GHGs and Co-Pollutants. Greg Karras: Technical Overview on Local Exposure of Frontline Communities to Refinery-Emitted PM.